Capital contributions and share purchases by foreign investors via mergers and acquisitions (M&A) deals amounted to around US$1.8 billion in the first five months of the year, up a whopping 116.2% compared to the same period last year. Foreign investors engaged in 2,061 M&A transactions in the period, according to the Foreign Investment Agency under the Ministry of Planning and Investment. Foreign investors via M&A deals have now entered various sectors, including production and services. For example, Thailand’s Siam Cement Group acquired the entire stake worth US$156 million in a cement manufacturer, Vietnam Construction Materials JSC, in the central province of Quang Binh, while South Korean food firm CJ CheilJedang Corporation raised its controlling stake to 71.6% in the former Cau Tre Export Processing JSC late last year. In regard to the real estate sector, Singapore’s Keppel Land Limited through its subsidiary Krystal Investments Pte Ltd clinched a deal with the Southern Waterborne Transport Corporation (Sowatco) to acquire an additional 16% stake worth VND845.9 billion in the Saigon Centre property in downtown HCMC. M&A deals in the real estate market could hit a record high this year as many investors are sounding out opportunities to pour billions of dollars in budget and mid-end apartments, offices, hotels and industrial parks, according to property services provider Jones Lang LaSalle Vietnam. The European Chamber of Commerce in Vietnam (EuroCham) says many investors consider M&A deals as the most effective way to penetrate the Vietnamese market and expand their business as well. This investment trend is expected to continue next year. 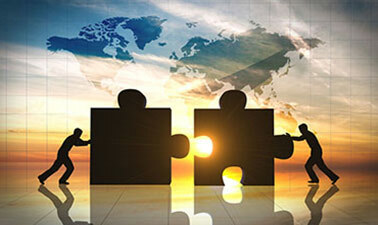 The growth of M&A deals is thanks to the 2014 Investment Law that clarifies some previously ambiguous regulations, according to analysts. Specifically, foreign investors have no need to go through investment procedures if they choose investment capital contributions and share purchases. Notably, Decree No. 60/2015/ND-CP allows investors to increase their ownership at many listed and public companies from 49% to 100%, except for those active in conditional business sectors. Besides, they have seen more opportunities emerging, especially the Government’s effort to equitize State-owned enterprises to divest State stakes from non-core business operations.